The Way We Hear It: Vegas Raiders, Tom Brady, and Who’s QB’n the Jets? 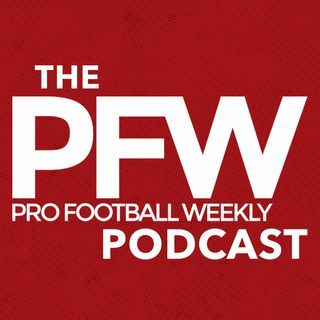 In the Pro Football Weekly Podcast’s news, scoops and rumors around the NFL, the guys talk the potential of the Vegas Raiders, whether or not Tom Brady will still serve his suspension, and who is going to be under center with the Jet’s. The Oakland Raiders continue their campaign to move to Las Vegas and Hub Arkush and Kevin Fishbain talk about latest on this potential move. News that doesn’t seem to go away for the NFL, remains to be “Deflategate,” and Hub, alongside Arthur Arkush, discuss ... See More whether or not Brady’s camp will be able to get an extension as the season begins. Finally, we wrap things up in New York as the Jet’s continue their circus of Quarterbacks. Hub Arkush and Nate Atkins share who they think might be starting this fall.